Fountain University, Osogbo (FUO) is now selling applications forms for admission into its Joint Universities Preliminary Examinations Board (JUPEB) programme for the 2018/2019 academic session. Applications are invited from suitably qualified candidates for admission into the Fountain University, Osogbo (FUO) Joint Universities Preliminary Examinations Board (JUPEB) programme for the 2018/2019 academic session. 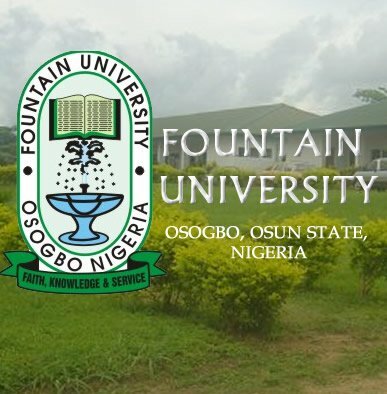 Fountain University, Osogbo (FUO) JUPEB is a 1-year foundation programme. Admission Requirement: 5 Credits including English and Mathematics in related subjects to the course of study. How to Apply for Fountain University JUPEB Admission. Interested candidates who meet the criteria listed above should apply by clicking on the “Apply” button below, fill the application form and pay the corresponding fees online.